The NBA was downright painful to watch in the first week of action. Two players went down to season-ending injuries in their first game of the season. Millions of fans watched Gordon Hayward break his ankle on a nationally televised game between the Celtics and Cavaliers. The injury was shocking, and players and fans everywhere cringed at the live video of his deformed leg. One day later, Jeremy Lin of the Brooklyn Nets suffered a ruptured patella tendon after landing awkwardly on a layup attempt. Season-ending injuries can be devastating for a player, especially on the first game of the season. In 2014, Lakers rookie Julius Randle fractured his tibia in the first game of his NBA career. Another member of his rookie class, Jabari Parker, also went down with a season-ending injury when he tore his ACL later that season. These bizarre occurrences are an unfortunate reminder of the constant reality players face when stepping on the floor. Severe injuries are part of the game, and there is no precaution that can completely prevent them. Lin, now 29 years old and in his eighth NBA season, will have to begin a long recovery process if he hopes to return to action in the future. Hoping to stay healthy for a full season, he was poised to be a starter and a key piece for the Nets this year. It will be difficult to return to the same way he was, but adversity is nothing new to Lin. He has had to fight an uphill battle his entire career to get where he is today. Lin was born to Taiwanese immigrants and attended high school in Palo Alto, California. There, he won a Division II state title and was named to the All-State first team. After not receiving even one athletic scholarship, he targeted Ivy League schools with his superb GPA and eventually landed with Harvard. Coaches had concerns with his thin body frame, but many later stated Lin would have been a fixture on their team had he taken their invitation to walk on. At Harvard, Lin was a standout player. In his junior year he averaged 17.8 PPG and was a unanimous All-Ivy League First Team selection. He commanded national attention his next year, and was considered a finalist for the Bob Cousy award for the NCAA’s top point guard. Much to his disappointment, Lin went undrafted in the 2010 NBA Draft. Executives and coaches again had concerns with his body, saying he would have trouble taking contact and finishing at the NBA level. Lin signed with the Warriors and had an uneventful rookie season. The following year, he made a huge splash with the Knicks. In February of 2012, he went on an unprecedented tear that would be dubbed “Linsanity.” The hype peaked on February 10th when he dropped 38 points to take down Kobe Bryant and the Lakers at Madison Square Garden. His incredible play drew a huge following with Asian-American fans across the country. After a season-ending knee injury cut his Knicks career short, Lin landed on a four-year contract with the Rockets. He would go on to average at least 11.0 PPG and play at least 70 games in each of his next four seasons. He then struggled with a persisting hamstring injury that would keep him out for a large part of the 2016-2017 season. How did a premier role player like Lin fly under the radar for so long? Many speculated that his race played a part. 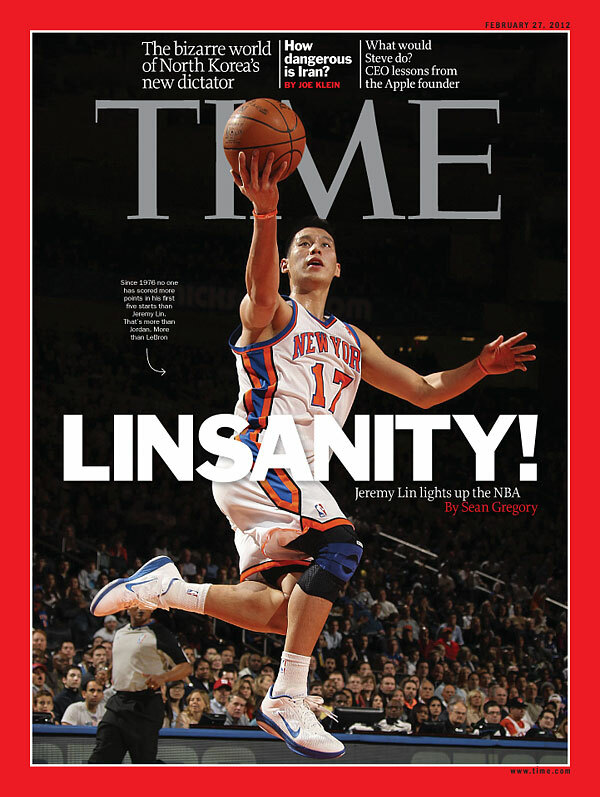 Lin was the first Asian-American NBA player to truly break out into relevance. Yao gained a massive following among Chinese fans during his Hall of Fame career, but he came from overseas. In the basketball world, there is a strange paradigm around race. When players are scouted in high school and college, they are often compared to and expected to shape out like other players of their own race. For some telling examples, look no further than the NBA Draft. On draft night, viewers are often provided with a player comparison for each draftee. The player comparison helps fans get a taste of their playstyle and their potential for success in the NBA. Player comparisons are useful, and they can be a good measure of the type of player you could expect a prospect to become. It seems like a completely natural thing to do, comparing prospects to guys that play and look like them. However, some of the comparisons border on lazy and uncreative. In this year’s draft, ESPN analysts likened Zach Collins to former Pistons center Bill Laimbeer, even though they played very differently. In 2016, Nbadraft.net compared almost all of the white draft prospects to white players (they also famously compared DeShawn Stevenson to Michael Jordan so their credibility is questionable). This is not to cherry-pick or claim there is some sort of racist conspiracy among scouts and journalists. Nevertheless, these player comparisons are a symptom of the underlying assumptions in the basketball world, and they might be an explanation as to why Lin has struggled mightily to ascend to his current level. While he has made a successful career for himself in the NBA, many Asian-American basketball players fail to even scratch the surface. Knee injuries are difficult to recover from, and Lin may never return as the same solid bench performer he has become. However, throughout his career he has learned how to respond to adversity and create opportunity for himself.